We can produce a wide range high quality edge finishes such as flat, bevel, pencil, waterfall, or other customised requirements. Our precision surface grinding, lapping and polishing facilities enable us to work to tolerances as tight as 0.025mm (0.001″) on thickness, and provide a good quality polish. We also have facilities for sawing, drilling, edge grinding and circular grinding. 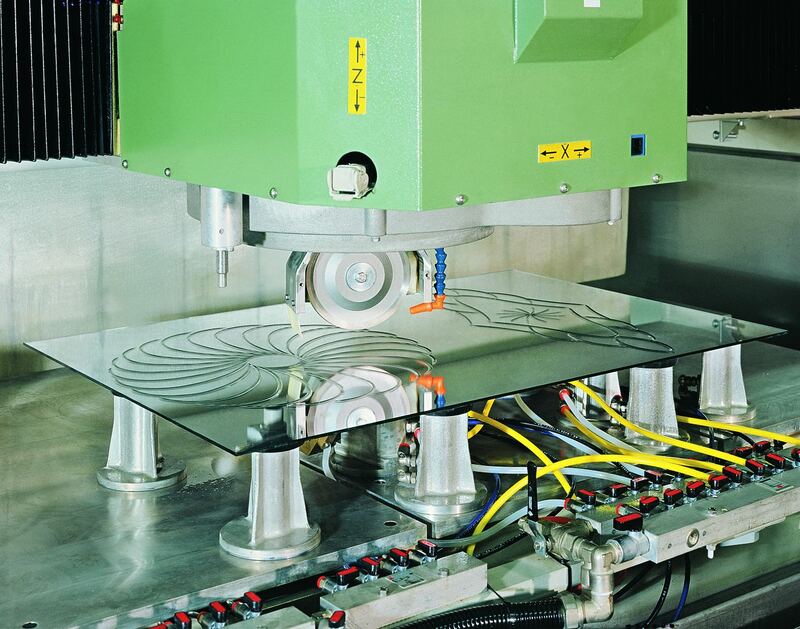 This sophisticated machine allows accurate profile grinding, sawing, drilling, bevelling and polishing thus enabling the manufacture of complex shapes and engraving to a very high standard of finish.